Up until this point (25/11/2014), I had always logged my runs with Runkeeper. I love my stats and it is a fantastic app. Unfortunately my shift away from it was due to other factors. I wear a Jawbone UP24 activity tracker, it is great for monitoring both steps and sleep patterns. At the time I had it synced with both MyFitnessPal and Runkeeper. On two occasions Runkeeper's data had failed to sync and it was becoming a headache. Online research led me to find that Strava tended to work better in that combination which meant I had to make the switch for the sake of reliability. Where the problem lies is unlikely to be with either app but simply a small compatibility issue. Strava has proven bulletproof in that particular configuration and it was a change for the better in my respect. As stand alone apps, both have their pro's and there is not a lot between them. 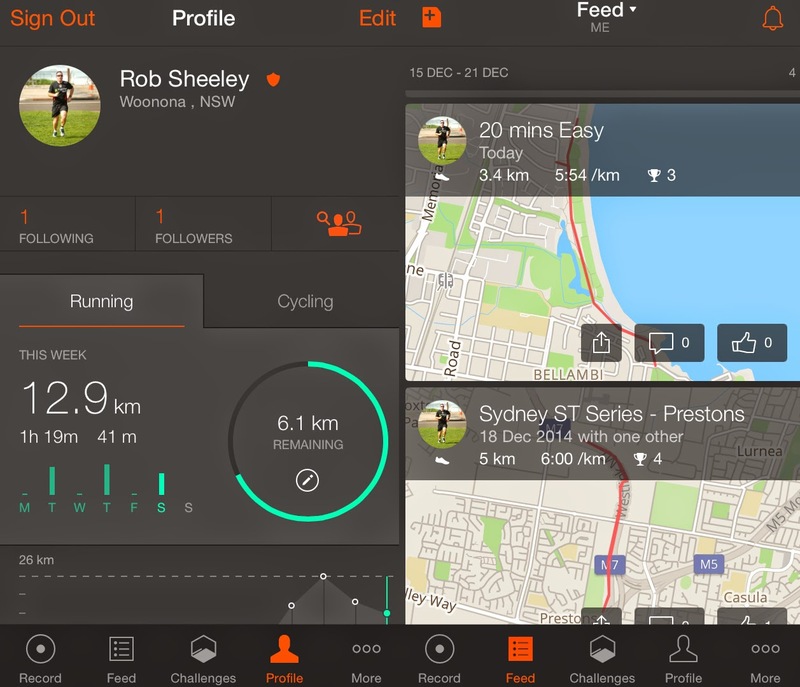 Strava allows you to set goals, join challenges and check your personal best efforts. It also has a feature called Segments. These are sections that you can create that you may regularly traverse which will show you how you have gone in comparison to you previous efforts as well as those of others. You can also see how you go on segments created by others with leaderboards showing overall best as well as having the ability to be filtered in numerous ways. I am now a Strava premium user and enjoy it immensely.